Tomorrow’s the day. The name of the game is Chopped. The object of the game is to not be Chopped: mystery basket cooking competition:3 courses, 4 mystery ingredients, and at least 70 minutes of intense cooking. We’ll start with 4 cooks, but only one will be named Chopped Champion! Am I nervous? Not yet. It’s kinda like knowing your teacher is gonna give you a pop quiz but while you know the subject, of course you don’t know the topic or which questions she’ll ask. So what do you study? In preparing for this year’s competition, I’ve flipped through Michael Ruhlman’s Ratio to make sure I know my basic baking ratios. The creativity is no problem; it’s being sure of my math and science so that if I put cookie batter in the oven, it comes out as cookies and not a cake. I also returned to the advice of some culinary inspirations that have competed on the original Food Network Chopped competition. An awesome man, proudly displaying Jesus Christ by way of his remarkable humility and selflessness, CIA alum Chef Lance Nitahara is currently an instructor at the Culinary Institute of America in Hyde Park, NY. I met him via his invitation to CIA students to work with him on his catering team during the Chelsea Music Festival in lower Manhattan’s Chelsea district. He’s received a bit of attention for his dabbling in what many like to call molecular gastronomy. 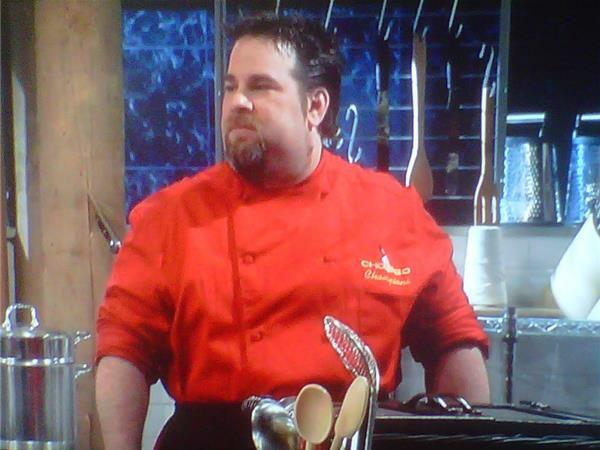 It took me a minute to realize that this was the same guy who had won on Chopped and as sous chef, helped Madison Cowan to his victory in Iron Chef‘s Kitchen Stadium. A fired up chef, and restaurant owner, it’s no secret that Chef LeVine is a cancer survivor. But cancer has not named him. Rather it has fueled his culinary takeover. Honestly, I haven’t spoken to him in some time, but I’m pretty sure I wouldn’t misquoting him in saying “Fire it up!” The reason chef Eric has been named on my list of Chopped inspiration is his never give up attitude, no matter the blows that life or the kitchen or the Chopped mystery basket throws at him; he’s in the game until his last breath! This dynamite woman is becoming a name in the culinary field. Why is she a chef you should know? Because I’m telling you right here right now on the Tip of the Tongue, of course. 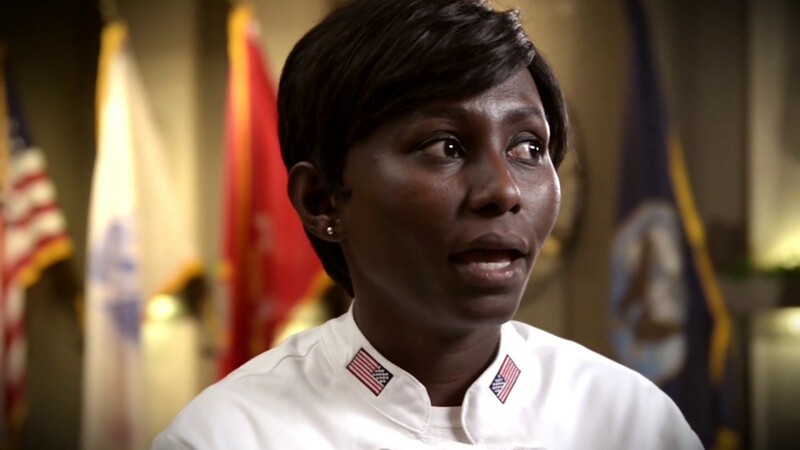 She’s a Navy chef on the staff of the United States’ Vice Chairman of the Joint Chief of Staff. After mentoring and mentoring her apprentices and competing amongst her peers at the 2016 ACF sanctioned MCACTE, she rose victorious as the Armed Forces Chef of the Year. And like the other two featured above, she is one of the Food Network’s Chopped champions! Her home country Kenya sure is proud of her. They said so themselves.